Anorak Magazine is known as the ‘happy mag for kids’ that is aimed at boys and girls aged between 6 and 12 years old. Buy a single copy or subscription to Anorak magazine. Since its launch in 2006, Anorak has broken new grounds in terms of visual communication for children. It has a unique format consisting of brand new stories written and illustrated by the most exciting contemporary illustrators, a ‘good stuff’ guide, games and some fun activities. 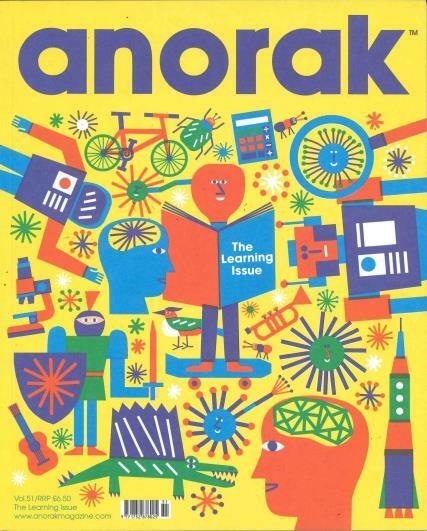 Unlike magazines of today, Anorak isn’t a throw away publication. Just like much-loved children’s magazines and annuals of the past, it is designed to be collected and kept. Buy a magazine subscription now! This was a Christmas present for my 6 year old grandson which was on his wish-list.